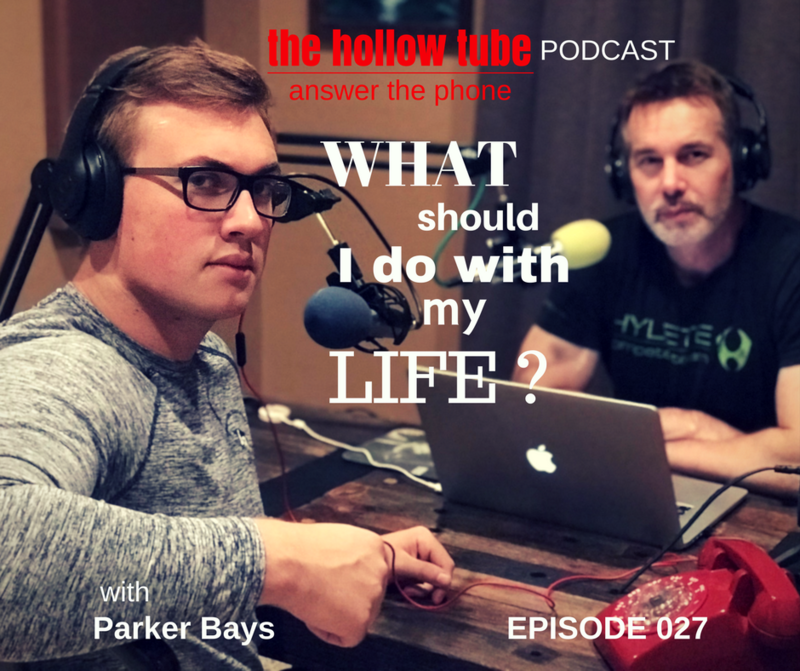 027 – What Should Parker Do With His Life? We have a very special guest tonight. Michael’s son Parker is on the show! Michael shares another adventure with Bill and Bear. Then we tackle the big question of what should Parker do with his life. He is in high school and excels at sports, but he is just not sure how he should plan his future. Michael and Patrick ask questions to help Parker get clarity about what he wants, and we discuss options like going to college and gaining expertise that he will be known for. We also talk about doing the best job possible no matter what the task and using that as a metaphor for life. Uncle Patrick also shares how he was the only male candy striper at his local hospital before medical school. We also talk about the importance of being a mentor or a teacher. One of the things Parker enjoys is writing, and we explore the traits of great writers, how to get to the muse, and more. [02:27] How Parker is like a folk hero on this show and his name is mentioned a lot. How it is nice to bring him onto the episode. [03:02] How Parker gave in and agreed to be on the podcast. [03:40] Parker has listened to the most recent podcasts. [04:18] How a lot of young people may not listen to two or three guys talking for an hour. [04:37] How Patrick’s son Brandon just moved to Brazil, and Patrick encouraged him to listen to the podcasts on his flight. [05:53] Michael had a new experience with Bill and Bear. Parker and Michael got a tent for Bill. They also picked out some other things from Walmart. He even got some big cans of beer. [07:11] Michael gave Bill a tent, but Bill didn’t want the fruit or the beer because it was too weak. Michael gave Bear a collar with Michael’s info in case there is never an emergency. [09:29] Bill has COPD and Michael is going to get him a new inhaler. [11:03] Bill is moving to the desert where there is less wind and cold. Bill also requested Taco Bell with two soft tacos and a burrito. [12:22] Michael brought Bill gifts, but they were perceived as attachments. [14:08] How from now on Michael is just giving Bill what he asks for. [14:19] Parker’s big question. He’s not sure what he is going to do with his life. [15:38] Parker is a TA for the football coach at his high school. He was wondering how much he makes as a teacher and coach. [16:53] How most teachers don’t make anything close to what they are worth. [18:56] When starting to think about what you want to do in life, the first bit of advice is to relax and not force it. [19:21] Your passion may not end up being your career. [20:13] Parker isn’t sure what his passion is. He is so far doing things because he likes stuff. [20:51] First decide if you want to work in a blue collar field or do something that requires an advanced degree. [21:09] There are a lot of technical schools that you can go to. Mechanics and plumbers and people who know trades make a decent living. [21:45] How a college degree is the entry point for anything. It is the old equivalent of a high school diploma. [22:31] All professions require at least a four-year college degree. Going to college allows you to become more socially oriented. [23:14] How college is a great place to network and explore diverse interests. [25:32] Auditing college courses to learn stuff that you are interested in. Spending time devoting yourself to what you’re interested in. [26:06] Making sure you finish college when you start it. It’s important to get that degree. [26:50] College is a momentum based projection. Once you lose that momentum it is hard to get it back. [28:16] Parker feels like he will still be stuck when he gets to college. [28:37] Fortunately, he can focus on his general ed classes while he explores everything that is out there. [29:26] Being aware of what is going on around you and look for qualities of people that you admire and ask them questions. [31:54] Dedicating yourself to your job and becoming the best person that you can be. [32:48] Think about what you want out of your life. [33:21] Parker still feels he is too young to know what he wants to do with his life. [34:01] In order to be known for something, you have to have expertise in something. People are known because they have a certain expertise that makes them stand out. [36:00] Delivering a little bit more of what is asked of you. [37:26] Looking at every task like a game and doing the best you can even at menial tasks. [39:34] When Patrick researched extracurricular activities to get into medical school. He became the only male candy striper at his local hospital. [43:19] Parker is good at Social Media. That is a skill he could teach. [44:05] How all of the little kids in the family look up to Parker and want to be around him. [50:26] Math also comes natural to Parker. People good in math have the ability to think in abstractions. [51:57] Parker is also a great writer and doing great in English. [52:25] Patrick think’s Parker may be a polymath. [58:03] The importance of critical thinking and breaking it down in simple terms that anyone can understand. [58:31] Benjamin Franklin was a self-trained writer. How great writers are prolific readers. [01:01:50] How watching Stranger Things made Parker realize that being an actor would be fun. [01:02:40] How actors need to expose themselves and be vulnerable. 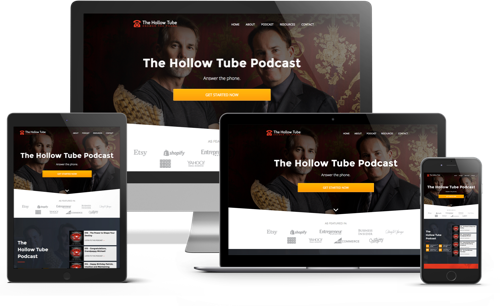 [01:03:27] The most important people of any genre are the screenwriters. Great screenwriters are the heart and soul of acting. [01:04:27] Patrick challenged Parker to send him a short story that he has written. They can be writing buddies. 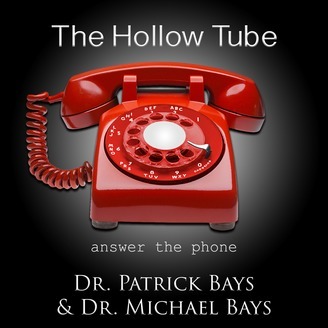 ← 026 – What Is the Hollow Tube?